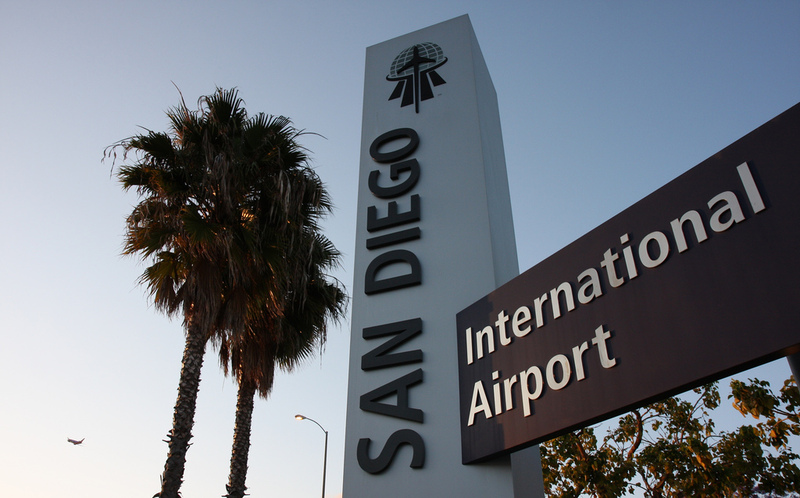 The San Diego County International Airport. Photo courtesy KPBS News. The onset Friday of a strong winter storm brought about a spate of flight delays and cancellations at Lindbergh Field. In the late morning, seven arrivals were delayed and a dozen others canceled through the late-evening hours, and seven departures were running behind schedule and 42 were scratched altogether, according to airport officials. Most of the cancellations were for late-afternoon and evening flights. — General arrival delays, 15 minutes or less. 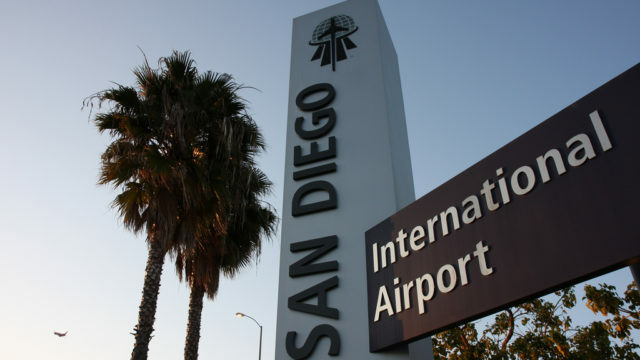 Travelers scheduled to pass through Lindbergh Field were advised to check on the status of their flights before heading to the airport.